I actually have a couple questions. First I have Kate tucker, Anthony Gerena, and Jaime Reda have all been added to zip checklist but nothing is showing up in their email. no "invite"
Next my business has 3 locations. When I edit my account and add or subtract something it changes the main checklist. Is it possible to have 3 different checklists? 1 for each location? That way I can specialize the checklist to each location and for their needs. I would really appreciate a timely response. Thank you so much. If your employees are not receiving the invite email have them check their spam folders, if it not in there then please contact us at customersuccess@altametrics.com for further assistance. You can have Checklists that are unique to each location but you will need to deactivate/activate them. When you make a change to a checklist in Zip Checklist all locations will be affected. 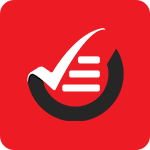 To have a unique Checklist at a location you will need to first create the checklist, then go to the accounts site settings, choose the site you would like to have the Checklist appear in, select the Zip Checklist icon, then click on Checklist settings. You will be able to make all of your checklists active or inactive for the location. Once you have made your changes remember to hit the green save button on the top right of the screen and the changes should be reflected in the application when you go to the site. Can I set the labour working hours with more Flexibility?